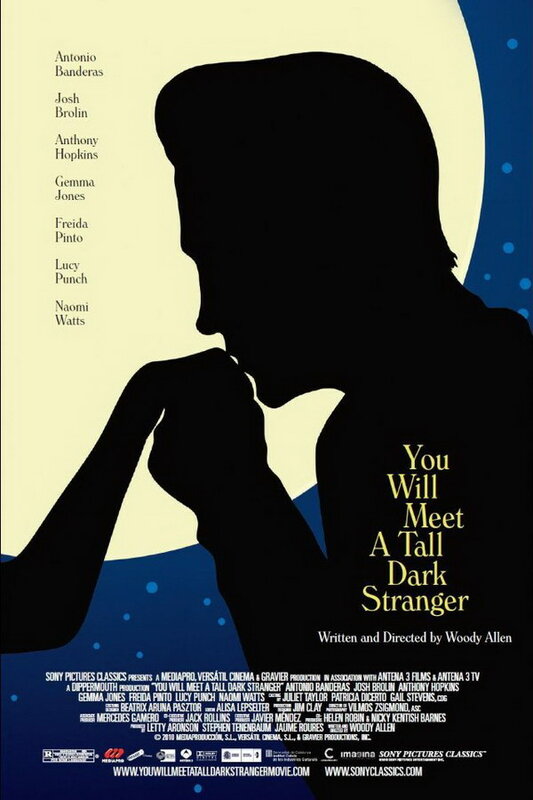 You Will Meet a Tall Dark Stranger font here refers to the font used in the poster of You Will Meet a Tall Dark Stranger, which is a 2010 comedy drama movie directed by Woody Allen. The font used for the movie title in the poster is probably Windsor Light Condensed by Eleisha Pechey. The font is a commercial one and you can view more details about it here. In addition to You Will Meet a Tall Dark Stranger, Windsor typeface is also used in the following logos, movie posters or album covers etc., including: A Christmas Story, More Than a New Discovery, Midnight in Paris, Cheesecake Factory, The Diary, To Rome with Love, Cup Noodles, Blue Jasmine, Branded Man, Whatever Works, Different Class (Pulp), The Goldbergs (TV Show).